The fix is in. Service Repairs are top priority! When you buy construction equipment, concrete equipment or outdoor power equipment from Gamka… who will handle the service repairs??? We will !!!! Gamka’s Service Department is fully staffed with Factory Trained Technicians to maintain and repair the construction machinery we stock for sale. Our Parts Department houses an inventory of over 12,000 items for the light to medium sized construction equipment product lines we sell and rent. Service repairs is a priority for our customers and a priority for us. Our parts experts are here to help you. Call today at 732-248-1400. Gamka’s Service Department is fully equipped with the tools and machinery to repair any light to medium sized construction equipment owned by GAMKA’S customers and sold by us. We take great pride in properly training and keeping up to date on the latest equipment. Our current Equipment Service Repairs Policy 2018 – click link. Certification status is awarded by Wacker Neuson to dealers who strive for excellence and meet stringent standards in the areas of training, spare parts, service and more, offering their customers a high level of quality and professionalism. 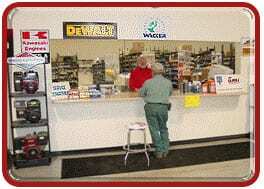 Wacker Neuson – We are one of the oldest servicing dealers for Wacker Neuson in the United States. We constantly are learning and getting training to keep up to date as needed. We are certified to Tier II status which is not an easy task. We work on all the Wacker Neuson equipment including, Dumpers, Mini-excavators, Wheel Loaders, light towers, trench rollers, external concrete vibrators, internal concrete vibrators, rammers, plate compactors, reversible plate compactors, power trowels, ride-on power trowels, vibratory screeds, asphalt rollers, compaction rollers, centrifugal pumps, trash pumps, diaphragm pumps, portable generators, towable generators, concrete saws, cut-off saws and a whole lot more. Husqvarna Lawn and Garden – Husqvarna is the world’s largest outdoor power equipment manufacturer, and our over 325-year history says we aren’t going anywhere. This kind of stability means you can rely on us to be by your side for the long haul. From premium professional equipment to affordable consumer options, Husqvarna offers an array of products—all built around the user, with superior design and unmatched performance. We are an Authorized service and warranty center for all commercial equipment, Automowers, chainsaws, zero-turn mowers, lawn tractors, trimmers, log-splitters, snow-blowers and so much more. We perform all work in-house with our factory trained technicians. Repairs or warranties are down here with pride. Husqvarna Construction Equipment – Husqvarna Construction Products is a part of Husqvarna Group. We are a world leader in the construction industry. Our extensive construction product range includes machines, diamond tools and all accessories that you need for cutting, sawing and drilling, as well as polishing floors and demolition. We have wide, innovative and powerful range of machinery and tools for the construction and stone industries. Through our sales companies and retailers you can be sure of getting products, service and support that suit you. Gamka is and Authorized Service and Parts center. Multiquip is proud to offer the world’s premier line of concrete trowels. Whiteman trowels were the first on the market and continue to lead the industry in quality, reliability and innovation. Multiquip Ride-On Trowels are the most powerful and dependable machines in the industry. They have partnered with independent facilities across North America to provide general service & warranty repair for all our products. Each facility is enrolled in our Authorized Service Center program and employs technicians and mechanics who are factory-trained to expertly repair our products. Gamka Sales Co. Inc. is proud to be a Multiquip Authorized Service Center. You can trust us to fix your equipment properly using factory parts. Kohler Engines – We are an Authorized Kohler repair center forall Kohler gas engines, Kohler diesel engines and even the newest Kohler KDI engines. We have completed the training and use factory parts and techniques. Honda Engines – We are an Authorized service center for all Honda Gas engines for all repairs and warranty problems. Kawasaki Small Engines – When you choose a Kawasaki engine, you’re not just getting the turf industry’s premier powerplant. You’ll have world-class service, parts and technical support behind you, helping you get solid performance, long life, and maximum payback from the engine. We are and Authorized Service and Warranty repair center for all Kawasaki small engines. Briggs & Stratton – Today our engines are easier to use than ever. And we’re doing it for you – to make your lives easier. Better. All of these factors combined make these our best engines. Ever.We are an Authorized Service and Parts center for all Briggs and Stratton gas engines. Ground Heaters – Gamka Sales Co. Inc. was the first dealer in New Jersey and the longest running dealer in NJ for the Ground Heater line of products. 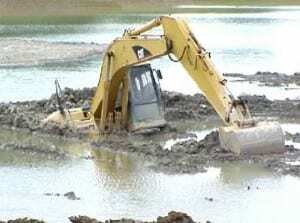 We have them in our rental fleet and we know how to fix them. We have factory trained mechanics and a large inventory of parts to support you as needed. The shop is prepared, willing and able to service any power unit on this equipment whether fueled by gasoline, diesel or electricity. All work is guaranteed for 30 days against defective parts or labor and estimates will be provided, upon request, before work is begun. Call for pick up and delivery on Gamka trucks. We specialize in rapid turn-around. For customers able to perform their own repairs and service, Gamka’s Parts Department has more than 12,000 items in stock, including equipment and engine parts and lubricants, coolants, shop supplies and special tools. Do you need service or parts for any of these manufacturers? Allen Engineering, Allentown, APT, Atlas, Copco, Bartell Morrison, Bobcat, Bosch, Briggs and Stratton, ChemGrout, Continental, Edco, Essick, Grimmer, Schmidt, Ground Heaters, Husqvarna, Hatz, Honda, Iron Master, Kawasaki, Kohler, Kubota, L.B. White, Lombardini, Master Heater, Metabo, Mi-T-M, Milwaukee, Morrison, Muller, Multiquip, Oztec, Partner, Rammax, RGC, Robin, Subaru, Shark, Skil, Soff-Cut, Speeflo/Titan, Stihl, Stone, Stow, Terex, Thor, Trimble, Spectra, Wacker, Wacker Neuson, Wap/Alto, Whiteman, Wisconsin and Yanmar…and many more–just give us a call and ask. Call us at 732-248-1400 to place orders by phone, or to check our current inventory, or to talk to a service representative. In order to maximize our Service Department’s repair capabilities and efficiencies, it has been necessary to implement several changes in its operations, following sound business principles. For example, we are not able to indefinitely store repaired equipment for some customers until it is required for their next project. Nor, from a business standpoint, should Gamka be expected to wait for payment until that time. Gamka guarantees equipment repairs for 30 days after completion. Repaired equipment left idle for lengthy periods may require charging of batteries, purging of stale fuels, etc., not part of the original repair or necessary at that time. The changes going into effect follow below. Your understanding is greatly appreciated. If you have any questions, please call the Service Department. Effective October 1, 2018, please be advised that ALL repairs will be invoiced upon completion and are due and payable at that time. A storage fee of $35 per day will apply for equipment not picked up after 7 business days from completion. Additionally, delivery is available for a fee.